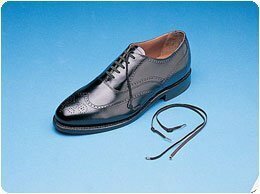 ace shoes with these elastic laces just once, and theyÕre ready to be put on and removed without tying again. Retainer piece adjusts to maintain desired tightness.This product contains natural rubber latex which may cause allergic reactions. If you have any questions about this product by Flex-O-Lace, contact us by completing and submitting the form below. If you are looking for a specif part number, please include it with your message.